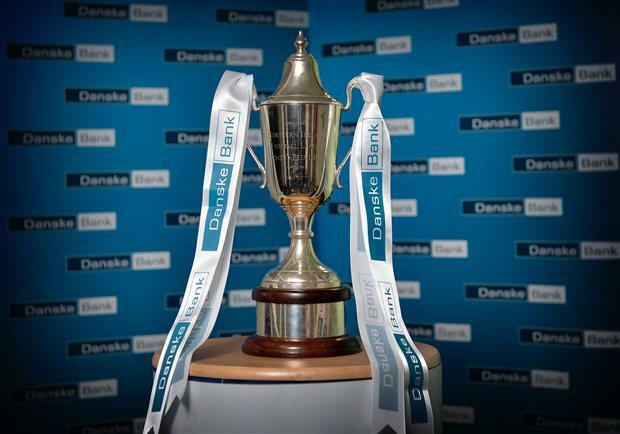 The official launch of the 2019 Danske Bank NIFL Premier League took place at Windsor Park on Wednesday evening. 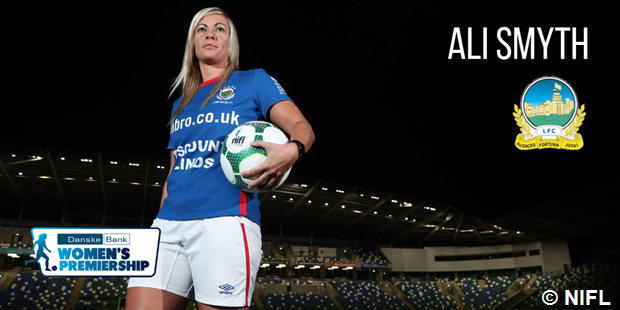 Linfield will be defending the trophy won in the past 3 seasons. 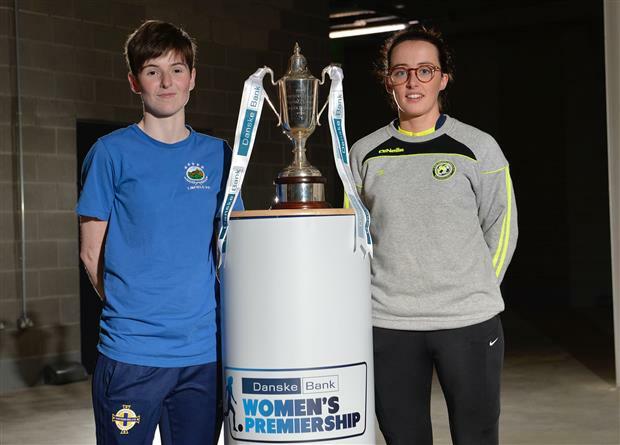 Linfield were represented at the launch by manager Phil Lewis and new captain Kirsty McGuinness. 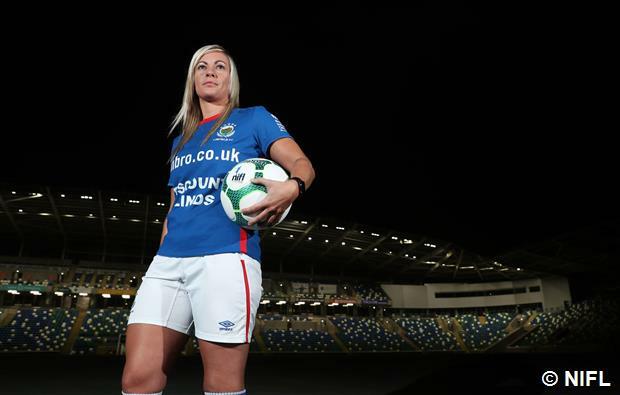 Linfield’s opening league game is against Sion Swifts at New Midgley Park on Wednesday evening and before that Linfield will travel to play Cliftonville in the County Antrim FA cup on Monday evening. 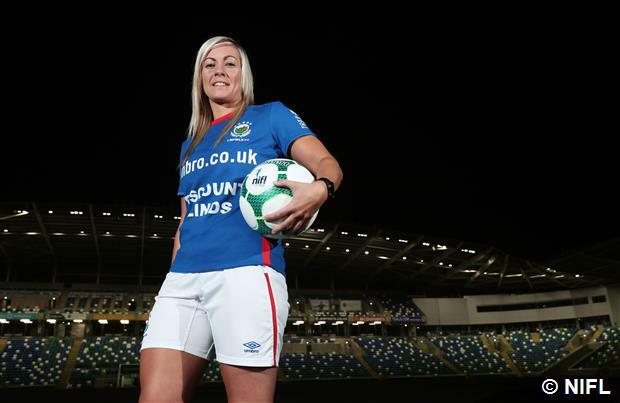 Linfield are again sponsored by Discount Blinds. 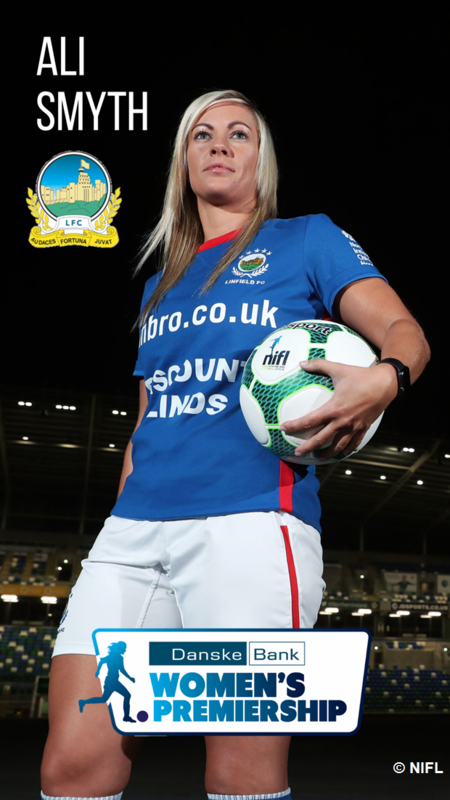 The Linfield player of the Match award is again sponsored by Ronnie Morrison. 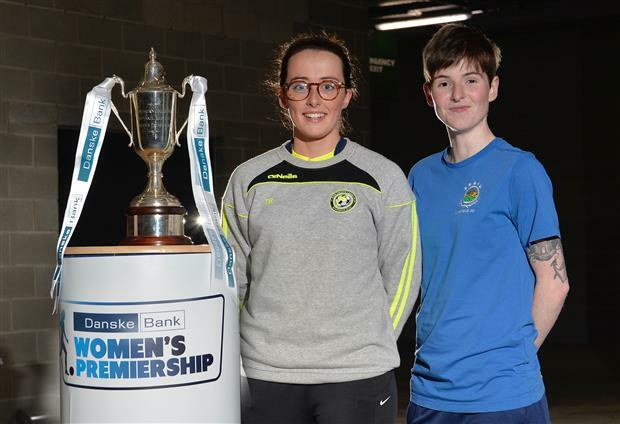 Below are a selection of NIFL photos from the launch of the new league campaign. 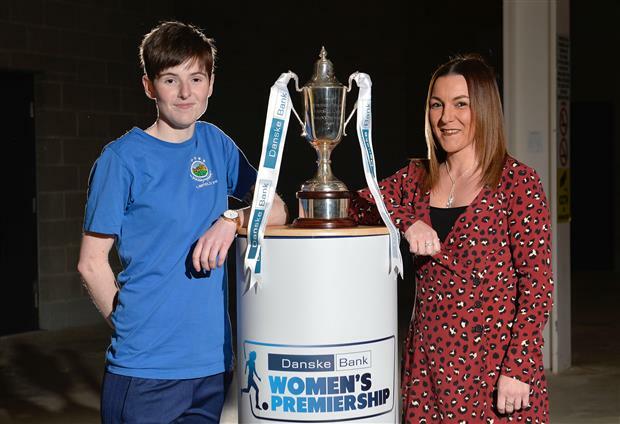 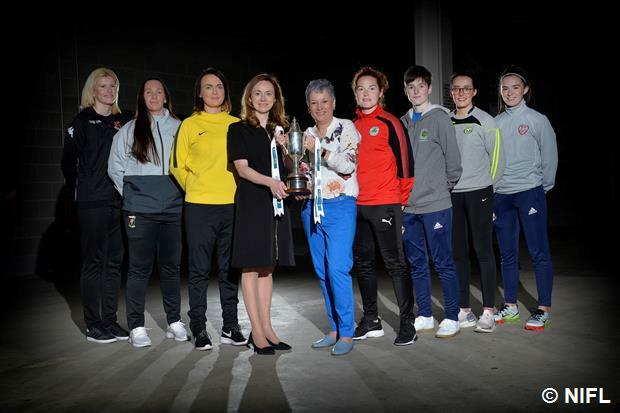 Above captain Kirsty with the local Danske Bank representative and below the new Linfield captain meets up with her Sion Swifts opponent Claragh Connor ahead of Wednesday night’s game. 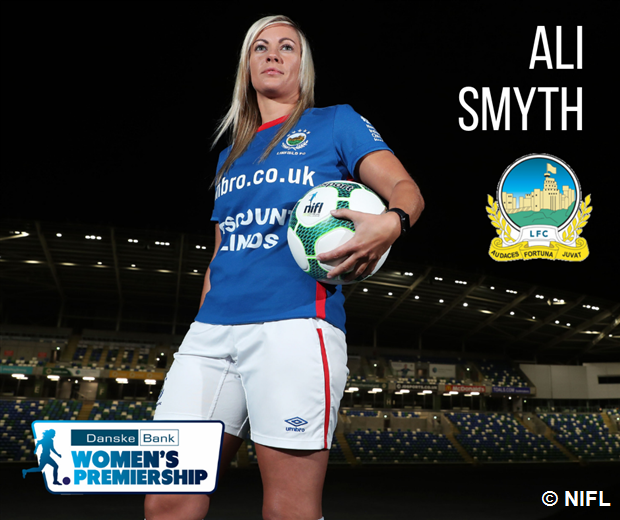 On July 6 last year Linfield star Alison Smyth suffered a serious double leg break in a game away to Sion Swifts. 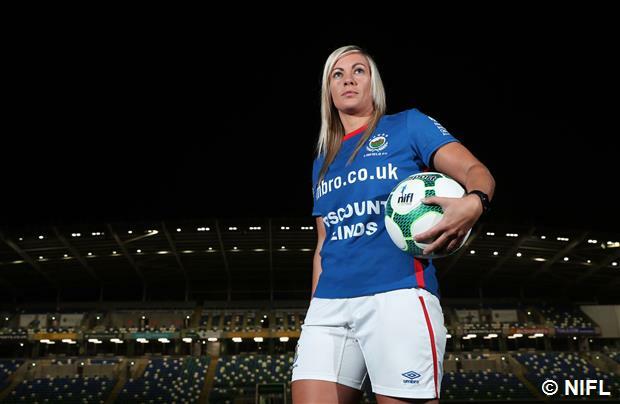 How pleasing to see Ali looking ahead to a new season in the NIFL pictures below.